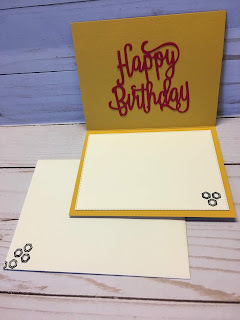 This card is for my grandson's upcoming 7th birthday. I used products from the Classic Garage Suite. It's an interactive spinner card. I haven't made one in years. The car spins from one side of the track to the other when tilted. I cut the track with a die from another company. 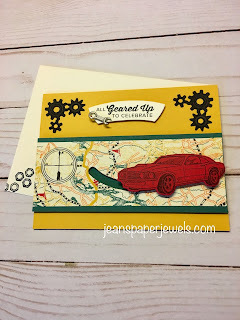 I used an old tutorial from Splitcoast Stampers. Click HERE to see it. 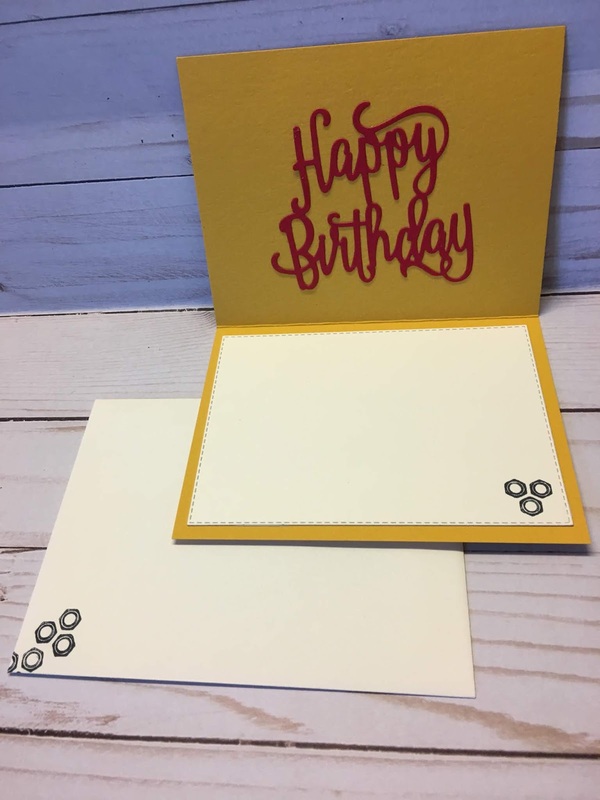 Check out the cute details on this card. The little metal wrench is from the Classic Garage Metal Elements. You get 16 pieces; 8 each of 2 designs - a wrench, and a key. I used the matching Garage Gears Thinlits Dies to cut out the Real Red Car, and the Basic Black gear pieces. The Real Red sentiment on the inside is from our Happy Birthday Thinlet Die. 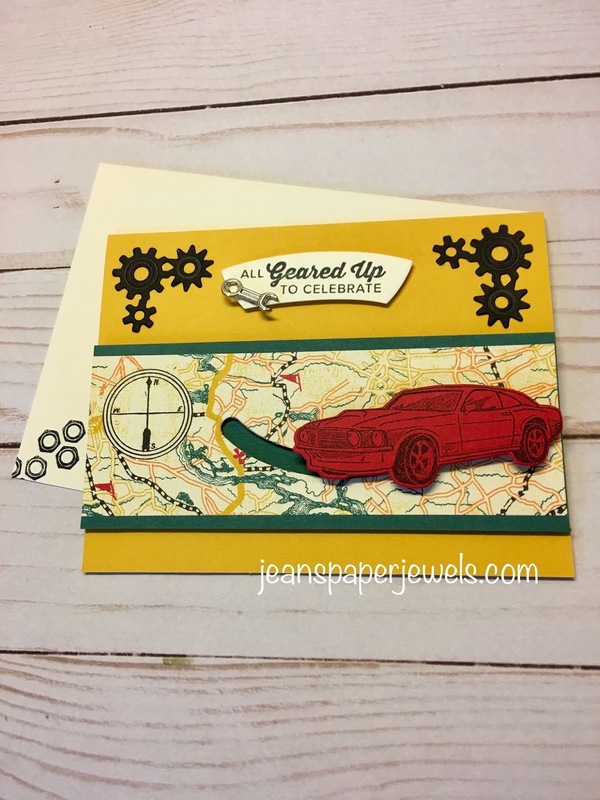 The stamped bolts are included in the stamp set.